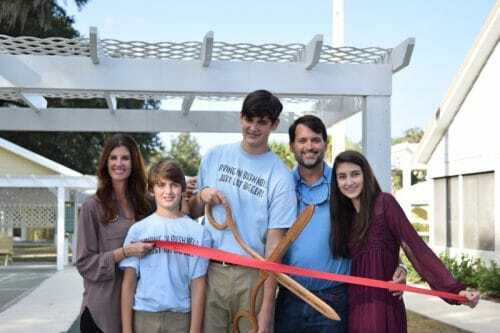 Greg and Yvonne Mixon, along with their 3 children, Owen, Lilly and Chapman, are excited and proud to be the owners of Paradise Oaks RV Resort. The Mixon’s, along with their amazing team, have taken great pride in maintaining this beautiful property and creating a “home away from home” for all of their outstanding guests. They have worked hard and made several upgrades to Paradise Oaks RV Resort and continue to expand this fantastic park. Coming from a farming/produce background, their passion for people, experience in customer service and focus on customer satisfaction is nothing new. Greg and Yvonne look forward to welcoming all of the guests that return year after year and all of the new guests who will surely call Paradise Oaks their second home. The Mixon’s and Paradise Oaks RV Resort were recently featured on RV Daily Report. Read the article to learn more about both!